The 2013 Canadian Association for Neuroscience Young Investigator is Dr. Shayna Rosenbaum from York University. 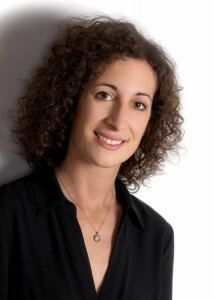 The Canadian Association for Neuroscience is proud to announce Dr. Shayna Rosenbaum, from York University, will receive the CAN 2013 Young Investigator Award at the opening ceremony of the upcoming Annual meeting in Toronto, on May 21. Dr. Shayna Rosenbaum is a renowned expert in the area of Cognitive Neuroscience of Memory. As a Cognitive Neuroscientist and Clinical Neuropsychologist, she combines brain imaging techniques with cognitive methods to study the neural bases of learning and memory in patients with memory impairment. Her work, and unique perspective, has allowed her to further our understanding of the different forms of memory and how these are represented in the brain, of the effects of specific brain injuries on learning and memory, and of the social and personal effects of amnesia. She is also examining strategies that may be used by amnesic patients to compensate for the changes in the way their brains work. Dr. Rosenbaum’s publication track record demonstrates the importance of her research contributions. She has authored 40 publications, published or in press, many in prestigious journals such as Science or Nature Neuroscience. Twenty of these publications were produced in the last three years alone. Her work has gained media attention from many of the top news sources from Canada (CBC News, CTV, Toronto Star and National Post) and the USA (USA Today and The New York Times). She has also served as expert commentator for the journal Nature, CBC radio, The Canadian Press and The Globe and Mail, further highlighting her capacity to explain the complex nature of memory formation to the public. She has received many awards, including the 2010 Sloan Research Fellow in Neuroscience. The Sloan award has been an excellent predictor of research superstars in Canada and the USA. Dr. Rosenbaum is a great example of a Young Canadian Neuroscientist who not only excels in her field of research, but is also a great ambassador for Neuroscience Research in Canada. The Canadian Association for Neuroscience wishes to thank Douglas Crawford (York University), Suzanna Becker (McMaster University) and Donald Stuss (University of Toronto) for nominating Dr. Rosenbaum for the Young Investigator Award.